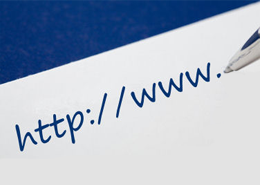 To increase your site SEO rank, you should make SEO friendly URLs. In ASP.NET Web Forms applications, a URL is tied to a physical .aspx file. This default mapping between a URL and physical file makes it difficult for Web Forms applications to generate SEO friendly URLs. One option available to ASP.NET developers is to use URL routing features. Alternatively they can also use Friendly URLs – a feature that allows you to quickly and easily use SEO friendly URLs in Web Forms applications. This article discusses how. In order to use ASP.NET FriendlyUrls you need to install the required assemblies using a NuGet package. So, open Visual Studio 2012 and create a blank ASP.NET Web Forms application. Then click on the Project > Manage NuGet Packages menu option. In the resulting dialog search for FriendlyUrls, you should see the Microsoft ASP.NET Friendly URLs entry listed as shown in the following figure. Once you install the necessary NuGet package you will find that a reference is added to the Microsoft.AspNet.FriendlyUrls assembly. Now you are ready to use FriendlyUrls in your application. Next, open Global.asax file in Visual Studio and write the following code in its Application_Start event handler. Remember that EnableFriendlyUrls() is an extension method and you must import the following namespaces at the top of Global.asax. The GetFriendlyUrlFileExtension() method returns the physical file extension of a FriendlyUrl. For web form files, it will be .aspx. You can also generate FriendlyUrls via code using the Resolve() method of the FriendlyUrl class. The Resolve() method accepts a virtual path and resolves that path to the corresponding FriendlyUrl. The Href() method of the FriendlyUrl class can be used to generate hyperlink URLs. It accepts the virtual path of the FriendlyUrl followed by URL segments (more on that later). For example, if you wish to generate a hyperlink that points to /somewebsite/WebForm1/2014/03/10/1234 then the first parameter will be ~/WebForm1 and URL segments will be 2014, 03,10 and 1234. As you can see, the code-behind uses the GetFriendlyUrlSegments() extension method on the Request object. The GetFriendlyUrlSegments() returns an IList of string. Once retrieved you can access and parse the individual segment and assign to a class named BlogPost. The BlogPost class is a simple class with four public properties, viz. Year, Month, Day and PostId. It is also easy to use FriendlyUrls with data bound controls such as GridView and FormView. Consider, for example, that the Web Form that displays a blog post houses a FormView control to do so. The FormView control can use SelectMethod and ItemType properties to specify a method returning the data to be bound and type of the data being returned respectively. Then year, month, day and postid parameters will be 2014, 03,10 and 1234 respectively. Although the above example simply constructs a BlogPost object based on the URL segment values you can add any custom processing here. 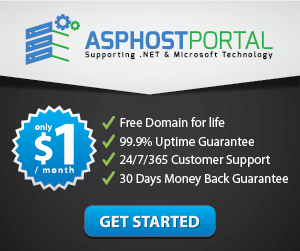 Use ASPHostPortal.com‘s website building tools to get that special, customized look for your website. A nifty wizard will walk you through the process. Their powerful servers are especially optimized and ensure the best ASP.NET 4.5 performance. They have best data centers on three continent and unique account isolation for security.